Concrete delivery is the first step to start any construction work. The construction manager usually gets in touch with a concrete delivery service to deliver tons and tons of concrete and cement. But, what happens when there is just a small scale concrete delivery that is required for residential use? 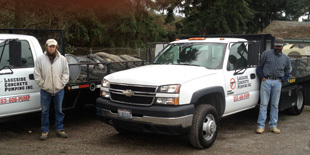 Lakeside Concrete Pumping is a concrete pumping and concrete delivery service in Chehalis, WA. We provide all sort of concrete delivery, be it large quantities for a big construction project or for a little concrete delivery for a small residential project. Our mission with concrete delivery is to deliver on-time for complete customer satisfaction. Creating a home or a new apartment building requires a lot of concrete work. On the other hand, fixing a driveway or creating a garden wall is the kind of concrete work that only requires a little material. However, the more professional the concrete work in any setting, the better. 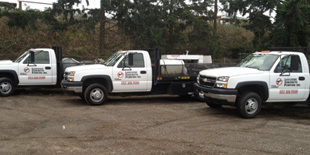 We have been doing concrete work in Chehalis area for many years now. We have done concrete work for both commercial and residential constructions in the Chehalis area. 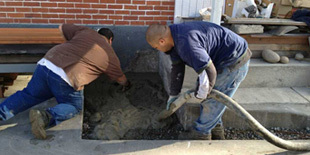 We have a team of skilled professionals who have many years of experience in concrete work. With any local concrete delivery comes the task of concrete pumping. By using concrete pumping to pour the cement, the process becomes much faster and easier. Concrete pumping reduces the manual labor work that is required, hence making the process more efficient. Concrete pumping in Chehalis has become very common because it requires the use of less labor. Also, concrete pumping is much more accurate than manually pouring the cement. Because of this, overall labor costs reduce and the quality of work still remains very high. If you need an experienced and excellent concrete pumping service in Chehalis, you will not be let down if you choose Lakeside Concrete Pumping. For all questions and appointments, call 206-452-4800.